I always like to read a baseball book around this time of year. So I just ordered Ron Darling’s new one, The Complete Game: Reflections on Baseball, Pitching, and Life on the Mound. Here in upstate New York, we’re in the mud stage, where the fields are not quite ready, but hope is in the air. We can feel it coming, outside, playing that game we love. To make any kind of all-time “Top Ten” list of books is ridiculous, because I keep coming across potentially great books that I haven’t read (yet!). Or read so long ago that my memory is unreliable. Ball Four? It’s been more than 30 years. It was funny, right? But why let that stop the fun? 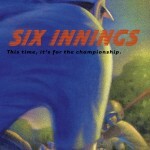 So those caveats aside, here’s a list of ten favorite baseball books, in no particular order. THE UNIVERSAL BASEBALL ASSOCIATION, INC. I like this line from a July 7, 1968 review in The New York Times: “Conversely, not to read it because you don’t like baseball is like not reading Balzac because you don’t like boarding houses. Baseball provides as good a frame for dramatic encounter as any. 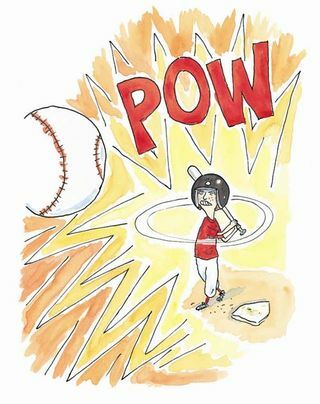 The bat and ball are excuses.” Coover was an experimental writer, an innovator, and this is possibly the most creative, imaginative of all the baseball books I’ve read. In brief, with pen and paper and three dice, a man, Henry Waugh, creates his own world, peopled with vivid characters — in this case, the Universal Baseball Association, Inc. Genius. The book had added appeal to me, personally, because as a boy I filled notebooks with imaginary games I played by rolling dice — very much like Henry Waugh did in the novel. I haven’t read this book in a long time, my memory of it is vague, and it may not be a fashionable pick due to the Hollywoodization of the film adaptation. But I remember being struck by Kinsella’s magic realism, his richly imaginative take on the baseball novel — Kinsella, for me, took the typical baseball story and brought it to a whole new place; and in doing so, opened up my own thinking about baseball and books and the realm of what was possible. Of course, even non-readers know the movie, The Field of Dreams, the at-times smarmy film starring Kevin Costner. At his best, Kinsella is lyrical and deep, writing not only about baseball but also love and memory, fathers and sons, dreams and truth. Many writers tend to go a overboard when talking about baseball — the prose too purple, too much religion in it — and Kinsella shares those faults. But there are other times when he absolutely nails it. An important book for me, since it came out in 1982, right around the time in my life when I first dreamed of becoming a writer. Absolutely the right book at the right time. Lewis is a great nonfiction writer. His research (thanks to incredible access to Oakland A’s GM, Billy Beane) is thorough, he organizes his information beautifully, and much like Malcolm Gladwell, Lewis has a knack for conveying complicated ideas in a clear, accessible, entertaining manner. That is, he’s a hell of a writer — but not in a way that you’d necessarily notice at first, since it’s not so much about style as it is about substance. Here’s what Tom Wolfe had to say: “What does it take to turn a subject like baseball statistics into a true-life thriller not even a baseball-loathing bibliophobe could put down? Answer: saturation reporting, conceptual thinking of a high order, a rich sense of humor, and talent to burn. In short, Michael Lewis. Moneyball is his grandest tour de force yet.” Word is that they are going to make a movie based on Moneyball, starring Brad Pitt. Really. Fun fact: Lewis is married to Tabitha Soren, former MTV reporter. Hands-down, my favorite baseball writer ever, but that claim places Mr. Angell in too small a box. Sentence for sentence, Roger Angell is one of the great American writers of the past 50 years, period. And I’ll punch anyone in the nose who doesn’t think so. I love the shape of his sentences, his language, insight, and humanity. But because his form is most often the essay, Angell really hasn’t written a great (great, great) full-length book. Don’t get me wrong, his collections are wonderful and I own them all. When I was writing Six Innings, it was all I could do to limit the amount that I stole from Angell, the master. I’ve written one fan letter in my life — and it went to Roger Angell. Still, I had to pick something from his work, so I went with Five Seasons, probably because it focuses on baseball in the middle 70’s — perhaps the last truly great era of the game. From The New York Times Book Review on Five Seasons: “A book for people who miss good writing, who miss clarity, lucidity, style and passion. It’s a book for all seasons.” Since 1956, Angell has worked as an editor for The New Yorker, where most of his eloquent writing has first appeared. His stepfather was E.B. White, not a bad writer himself. AND THE LIFETIME AWARD GOES TO . . .
AND FINALLY, A LITTLE BIT ABOUT . 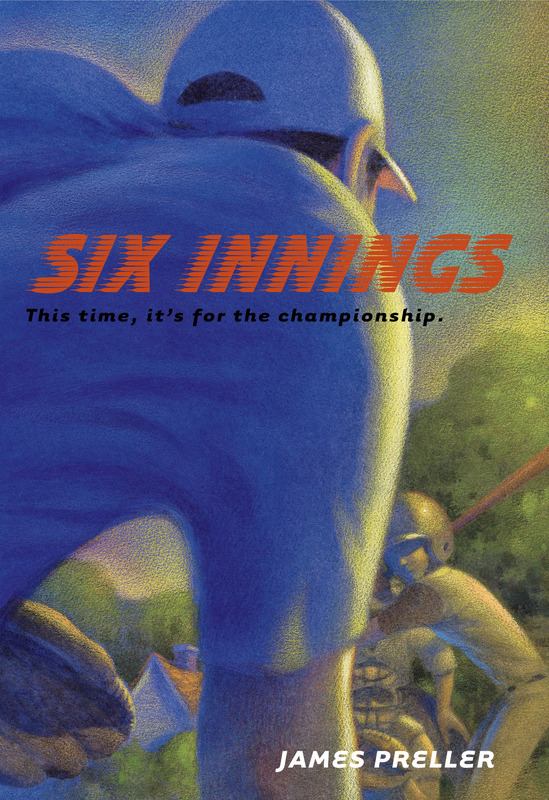 . .
One of the early influences for the format for Six Innings was a landmark book, titled Nine Innings: The Anatomy of a Baseball Game by Daniel Okrent — a man largely credited with inventing Fantasy Baseball. The format is essentially one game, a nothing game, June 10, 1982, Brewers vs. Orioles, including everything that happens on the field and, more importantly, inside the head of Mr. Okrent. 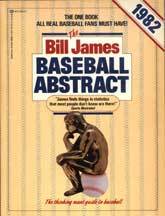 Some folks consider this to be one of the most significant baseball books ever, in part because of Okrent’s analytical, Jamesian approach. It used to be out of print, and I’m glad to see that it’s made a comeback, hopefully with more success than Oil Can Boyd. Many other baseball books have taken that “one game” structure, including For the Love of the Game by Michael Shaara , The Last Nine Innings by Charles Euchner, and as I mentioned above, A Day in the Bleachers by Arnold Hano. With all those books in mind, and more, I knew that I was very much writing Six Innings within that tradition, and for that tradition, and that knowledge gave me the confidence to proceed. I was tempted to make a long list of Honorable Mentions . . . but figured maybe you’d like to help. So, come on, which books did I forget to mention?